Saint Agatha, Virgin, Martyr - My Catholic Life! It is also the constant tradition that her torture included sexual mutilation. 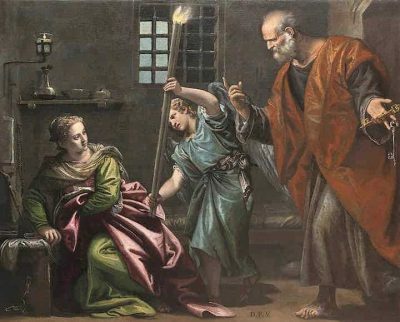 Whereas Saint Lucy is shone in art with her eyeballs on a platter, Saint Agatha is normally shown holding a plate on which rest her own breasts, as they were cut off by her pagan tormentors before her execution. This peculiar image is, in fact, carved into the wall over the entrance to the sixth century church of Saint Agatha in Rome, a church re-dedicated by Pope Saint Gregory himself so long ago. Men commit most of the physical violence in the world. And when their victims are women, that violence can be particularly vicious because their victims are so defenseless. The stories of the early male martyrs of the Church relate tales of extreme torture by their Roman captors. But the stories of the women martyrs often relate something more—sexual humiliation. No male martyrs are known to have suffered similar indignities. 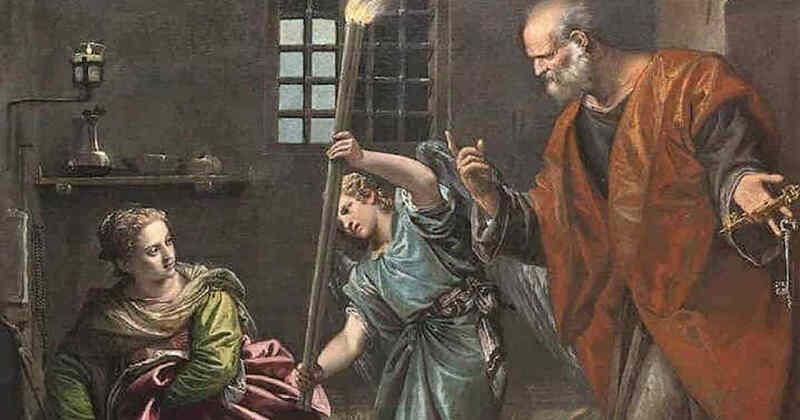 Saint Agatha and others were not only physically tough to endure the pain they did, but also mentally and spiritually powerful to have resisted to the death the public embarrassment and degradation particular to them as women. They were the strong ones. It was their male captors who looked weak. It was Christianity’s exaltation of women, children, slaves, prisoners, the old, the sick, the foreigner, and the outcast that caused the vast leaven of the Church to slowly rise in the Mediterranean world. The Church did not create a victim class who complained about a privileged class. The Church preached the dignity of persons. The Church did not even preach equality of individuals or teach that governments must enact laws protecting the unprotected. That is all so modern. The Church spoke in theological language and taught that every man, woman, and child was made in God’s image and likeness and so deserved respect. It taught that Jesus Christ died for every person on the cross. The Church gave, and gives, total answers to total questions, and those answers were, and are, compelling. The Feast of Saint Agatha is still massively celebrated on February 5 in Catania, Sicily. Hundreds of thousands of faithful process through the streets in honor of that island’s patron saint. The ancient traditions carry on. Saint Agatha, you were a virgin espoused to Christ himself, a bride of the Lord who preserved herself for Him alone. Your vow to love God above all else hardened you to endure temptation, torture, and degradation. May we be as resolute as you when any type of persecution, however mild, seeks us out.